Think you know every psychology tip in the book? Well, working with luxury buyers might rearrange some of the things you thought you knew. Luxury buyers have a different mindset than many of those in the traditional market. 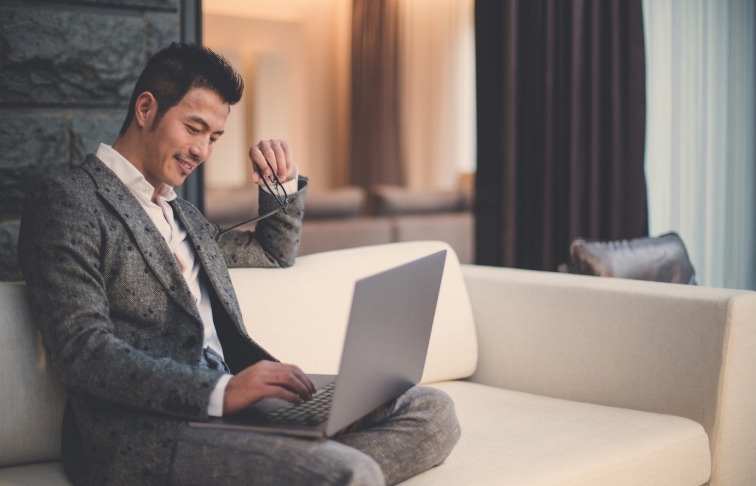 Learning the psychology behind why luxury buyers are searching to buy or sell, and how they prioritize their decisions, could help you interact with your potential clients in a more significant way. At the end of the day, clients will come to you—and refer you— based on the results you can get them. Sometimes, however, getting your clients to the end of a transaction is as much about managing their personalities as it is about finding the right property. That’s where some of these psychological tips can help. Here are a few psychology tips that can help you work with high net-worth buyers looking for luxury properties. Sometimes it takes some strategic psychology to know how to get on a client’s good side. Luxury buyers definitely want beautiful properties and great real estate deals, but there’s an added element to their shopping list: lifestyle. They’re looking for properties that will cater to the experiences they dream of, whether that be walking out the door onto the slopes or being able to watch the tide roll in from their sunchair. Your job is to find out what experience they’re after and provide it for them. If you focus on the wealth building aspect of buying and selling property you’re likely to miss this major psychological component, which is based on values and lifestyle. You might be tempted to categorize your buyers based on how much they earn and then show them homes based simply on this framework. Obviously, you need to do some work to prequalify buyers before searching for property, but make sure you don’t rely too strongly on data and metrics to show you what’s good for your buyers. Why? Simple: if you can do it, so can they. Most high net-worth buyers are educated, intelligent and able to understand real estate concepts and inventory in the marketplace. So you’ll need to bring a different element to the transaction in order for your services to go above what high net-worth individuals think they can provide for themselves. Try to focus on their needs and wants and find ways to fill these instead of looking at a list of prices and drawing an arbitrary line around what they should and shouldn’t go for. Some of your wealthy buyers will already be mentally transitioning from earning wealth into thinking about how to steward their wealth for future generations. There is a different psychology involved at this stage when buyers are focused on finding ways to keep their wealth flowing through their families long term. Providing your buyers with insights on how other families or individuals have passed wealth on to their children can help, and, importantly you’ll want to let them know how you’ll work in tandem with their financial advisor, accountant or wealth planner to find properties that best fit these goals. Not every high net-worth individual is going to have the same ethos as each other. You’ll find that some people do business the same way as you and others do not. You’ll most likely be more successful psychologically connecting with buyers whose point of view is natural to you. In general, here are some typical categories high net-worth individuals tend to fall in. VIPs: Motivated by social standing and prestige. These buyers will focus on the opinions of others in their circle. To break through to them, make them feel like a priority. Entrepreneurs: These people have made money because of their innovations, hard work and ability to stick to projects. They’re used to taking a hands-on approach and will want to work with you to find the best deal but might be less comfortable completely outsourcing all of the duties to you the way other clients could. Moguls: Because of their experience leading their field, moguls feel confident proclaiming they are subject matter experts. If you feel like a mogul yourself, then try approaching other moguls on the same footing. Otherwise, bring your mogul into the decision-making process by creating points for them to give their approval throughout the transaction. By finding segments where you feel you can naturally fit in, you’ll have an easier time blending into the psychology of high net-worth individuals. Even though understanding the psychological factors that could motivate some buyers to work with you or make a purchase decision, it’s still important to stay genuine. Put honesty and truthfulness at the forefront of all your transactions and act out of a sincere desire to create wins for your client. Please email me more how to use the tools and where i can find it ?